Developing an app or a website from scratch involves a lot of work. In many cases, you’ll need to recreate functions that have already been made thousands of times, which is about as efficient as reinventing the wheel. Software frameworks can help you circumvent this problem, by providing you with a foundation you can build upon. In this article, we’re going to help you find the best PHP framework for your development work, by introducing you to eight of the top options. We’ll talk about each framework’s pros and cons, its technical specifications, and more. Let’s get to it! In the world of software development, the term ‘frameworks’ refers to libraries of files that include several basic functions. The goal of a framework is to provide you with a foundation you can use to develop projects more efficiently. To do that, it will include a lot of the functions you’d need to code from the ground up if you wanted to start from scratch. Imagine that you’re trying to cook a new dish, for example. You’d buy a lot of ingredients you’d need to prepare in specific ways. However, you’d also need access to some basics, such as pots, pans, knives, and a cutting board. In this example, all of those kitchen essentials would be part of a basic framework. Without them, you’d need to start from nothing each time. Frameworks function the same way, keeping you from having to constantly reinvent the wheel. If you want to develop a new PHP application, a great place to start is by looking for a framework that includes all the functionality you’ll need to use. Fortunately, there are a lot of options to choose from. They’re all unique in how they approach development, and they all come with their own pros and cons. Throughout the rest of this article, we’re going to help you choose the best PHP framework for your needs by introducing several top solutions. We’ll talk about the functionality each one offers, their technical specifications, and more. If you’ve ever used frameworks before, then you’ll know that each tool is very unique. With that in mind, we’re going to do our best to provide all the information you’ll need to pick the best PHP framework for you. All of these options are free and open source, so you can try out whichever ones spark your interest. When people talk about PHP frameworks, one of the names that tend to pop up most often is Laravel. This particular framework is renown for its elegant syntax, which is easy to grasp and a pleasure to work with. With Lavarel, you can get to work on your projects rapidly. You’ll also be able to skip a lot of groundwork since you get access to functions such as user authentication, session management, and caching. Overall, Laravel packs all the functionality you’ll need to build a modern PHP application, which is saying a lot. If you’re interested in the technical reasons that using Laravel can be a smart idea, we can sum those up easily. First, Laravel core is solid from a performance standpoint, and you can extend the framework using a lot of add-ons. Laravel also integrates beautifully with other third-party libraries and platforms, such as Amazon Web Services (AWS), which enables you to build highly-scalable applications. For long-running tasks, you can queue them to run asynchronously in the background, which helps to improve performance even further. Finally, Laravel boasts a highly-active community, which means finding help or tutorials is never a challenge. If this is your first time using a framework, that makes Laravel an even better option. CodeIgniter is a PHP framework that uses a Model View Controller (MVC) architecture. In layman’s terms, that means CodeIgniter uses different components to handle specific development tasks. This approach is well-liked among developers because it enables you to build highly-scalable web applications with a smaller footprint. If you’re new to PHP frameworks, CodeIgniter can be an excellent choice, because it’s rather easy to learn and get started with. Plus, the platform boasts excellent documentation, which means you shouldn’t have too much trouble learning the basics. CodeIgniter also offers solid performance, which means it’s perfect if you want to build lightweight applications that run well on modest servers. There are a lot of pros to using CodeIgniter. However, we’re wary about calling it the best PHP framework, because it also comes with some downsides. For example, its releases are somewhat irregular, so it may not be the top option for applications that require high-level security standards. If there were a competition for the best PHP framework, Symfony would be right up there with CodeIgniter and Laravel in terms of popularity. Once you start digging into the framework, it becomes easy to see why. Along with having a cool name, Symfony is highly flexible. It features a bundle and component system that enables you to cherry-pick the PHP functions you need, or simply use the entire framework. To ensure that your applications run as they should, the framework also includes built-in testing functionality. In our experience, however, applications built using Symfony often don’t have the best performance. Plus, the framework has a very steep learning curve when compared to the other options we’ve seen so far. Symfony can be a strong option if you care about modularity. You can just use the components you want instead of a full library, which can make this the best PHP framework if you only need a little help. A lot of people refer to Zend as a ‘glue’ framework, which is a way of referring to its component-based nature. Zend is an object-oriented, MVC-based framework that enables you to load only the components you want as individual libraries. To put it another way, Zend enables you to focus only on the components and functions you want, and ignore everything else. Thanks to this approach and the framework’s object-oriented nature, you should be able to reuse a lot of the code you write, which is always great news. In addition, it’s quite easy to integrate the platform with external libraries to extend its functionality even further. However, there are a few downsides to using Zend. The platform is fairly complex to pick up, for example. In our experience, if you’re moving from a tool such as Laravel to Zend, the jump can be quite challenging, and it can be somewhat intimidating if it’s your first framework. 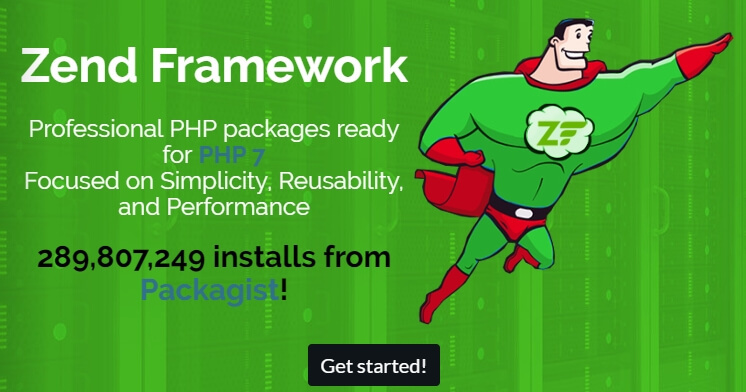 Still, Zend can be the best PHP framework if you have development experience and you like object-oriented coding. Phalcon is a bit of an oddity when it comes to PHP frameworks. Its source code is written in C, so it’s basically a C extension of PHP. This sounds odd, but in practice, it results in one of the fastest frameworks we’ve had the pleasure of using. When it comes to performance, Phalcon lives up to its name, and it consistently delivers results that are near the top of the pack. Phalcon is also very light on resources, and it uses an MVC architecture. Plus, it’s unique in that the framework itself has almost no files once you install it. Instead, you just add the modules and libraries you need when you need them, which makes for a very uncluttered development process. So far, Phalcon must be sounding pretty good. We’re big fans of this framework, but it’s worth noting that since we’re talking about a less popular tool, its documentation isn’t up to par with giants like Laravel. Finding help with bugs can also take more work. However, Phalcon comes pretty close to being the best PHP framework you can use, especially if performance is what you’re looking for. In the early 2000s, CakePHP was the first PHP MVC framework to hit the market. Back then it was a revelation, and it’s still one of the best PHP frameworks you can use (and one of the most popular). 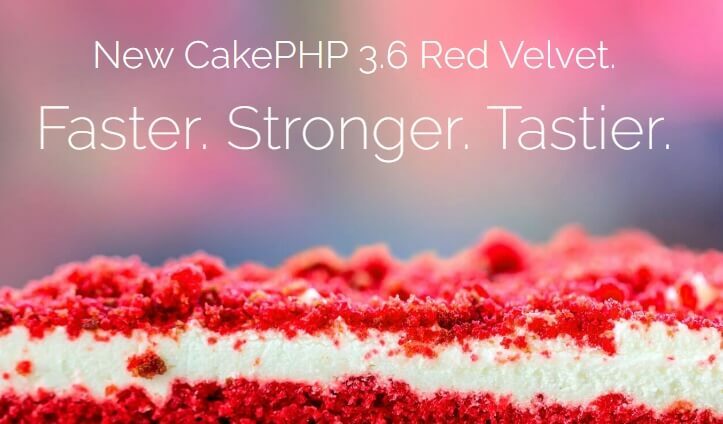 Newer versions of CakePHP have improved in performance over time, and added lots of new components. However, where CakePHP really shines is in the way it approaches convention in coding. This means that with CakePHP, once you master its set of conventions, you can focus on development and get more work done faster. Along with that, CakePHP offers a wonderful set of libraries that include a lot of helpful components (as every PHP framework should). During our tests, we found that CakePHP offers one of the most thorough sets of components you can find, so it’s a great option if you need to implement hard-to-find features. Of course, CakePHP can be a bit restrictive due to its love of conventions. If you like to code by the seat of your pants and to be as creative as possible, CakePHP might not be the best option for you. Still, it’s a strong pick for many developers. Yii is another strong entry in our roundup of the best PHP frameworks, and it’s a worthy competitor. Right away, we can tell you that Yii shines due to how easy it is to set up. Along with that, the framework is right up there with Phalcon when it comes to performance, which is a huge selling point. Just like the other PHP frameworks we’ve seen so far, Yii offers a robust set of components you can use to speed up web application development. However, it stands out due to its robust set of security features, which you can use create highly secure projects. As for its downsides, Yii can be a bit tough to pick up if it’s your first framework. It’s a top competitor for the title of best PHP framework, but if you’re new to the language, there are other more beginner-friendly options you can use. FuelPHP is a relatively new PHP framework, first launched in 2014. The creators claim to have gathered the best practices out of other powerful frameworks and created something new and exciting. Some of the most unique aspects are described in the features section. 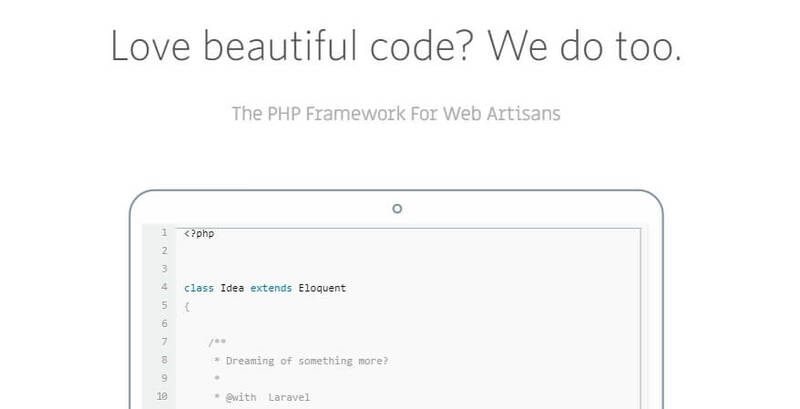 The framework supports PHP version 5.4 and above. Plus it offers in-depth documentation that will help start developing as quickly as possible. There are a lot of programming languages you can use, but PHP is still the top option when it comes to server-side scripting. However, even if you’re a PHP pro, coding all the parts for each new project you embark on will take a lot of time. If you choose the best PHP framework for your needs, however, you can skip a lot of the groundwork and get straight to the fun part of developing a new project. What do you think is the best PHP framework? Share your thoughts with us in the comments section below! If you are looking framework for performance, go for Yii. Yii is pretty great. Though I’ve heard that Phalcon is the fastest PHP framework and beats most others in benchmarks by a large margin. I agree. This list of PHP frameworks is really good and their usage is quite simple (especially once you get the hang of it).